The property was exceptional and the hosts were just as wonderful. They communicated effectively and provided all we expected and more. We would highly recommend this property and fully anticipate returning ourselves. Location was incredible, hostess was nice, beautiful area! Great location and facility. Most pleased with everything. Everything about this place was amazing! Even better in person than in the photos! 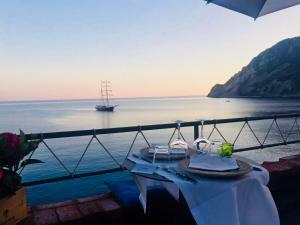 Location, totally unique, Silvia was wonderful. Breathtaking! The pictures don't lie. Beautiful and quirky little property. A bit like staying in a lighthouse. 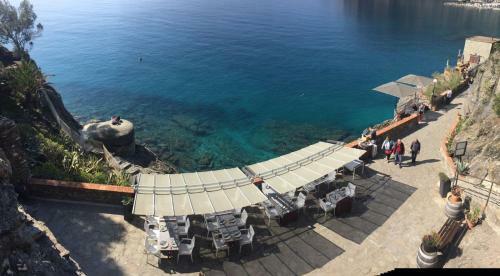 The location was magic, the accommodation was amazing, the host lovely & easy to communicate with. 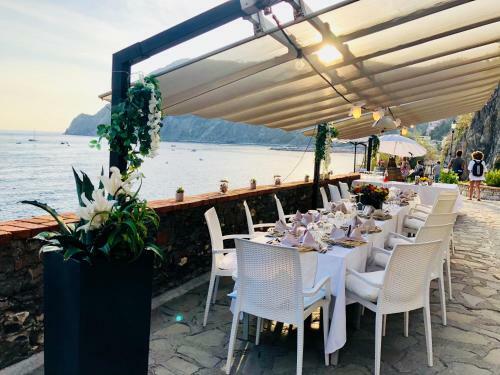 Easily the best accommodation in all of the Cinque Terre & Monterosso the best to stay & relax after a day exploring, if you can bring yourself to leave the balconies & stunning views. Don't hesitate to book, lock it in today & enjoy we certainly did! The property was amazing. It was one of the best places we have ever stayed in with the most amazing ing views. We can’t wait to go back. Lock in a great price for La Casa Del Doganiere – rated 9.6 by recent guests! 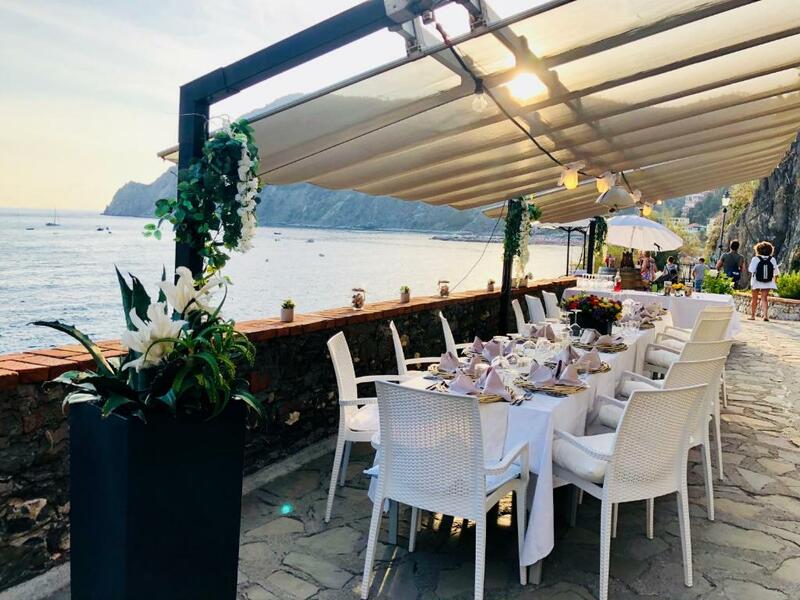 Featuring a garden and a terrace, La Casa Del Doganiere provides accommodations in Monterosso al Mare with free WiFi and sea views. Guests staying at this vacation home can use a fully equipped kitchen. The vacation home includes a living room and a bathroom with a bidet. A flat-screen TV is offered. If you would like to discover the area, cycling and fishing are possible nearby and the vacation home can arrange a bicycle rental service. La Spezia is 20 miles from La Casa Del Doganiere, while Corvara is 11 miles away. The nearest airport is Cristoforo Colombo Airport, 62 miles from the accommodation. 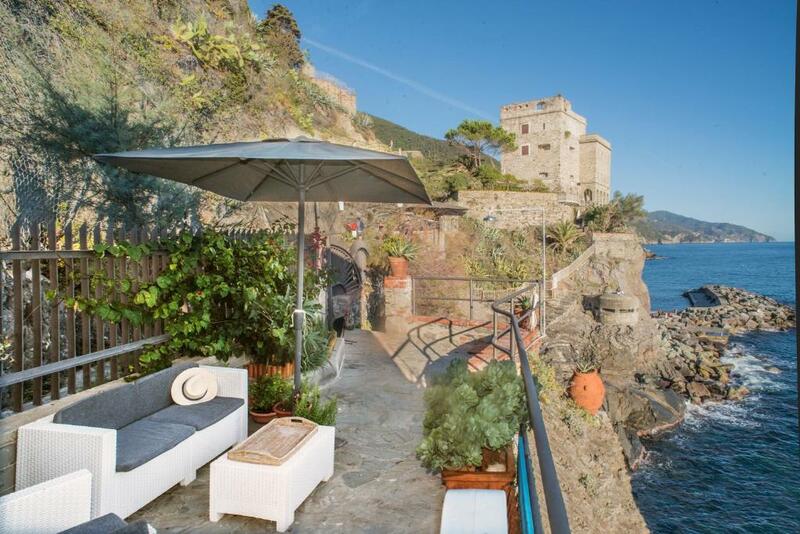 뀐 Located in the top-rated area in Monterosso al Mare, this property has an excellent location score of 9.9! 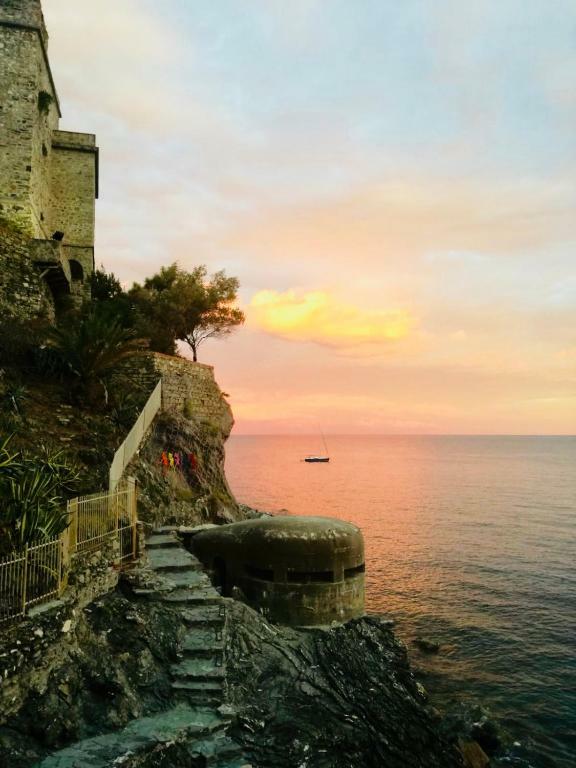 When would you like to stay at La Casa Del Doganiere? L'Ancora della Tortuga " sconto clienti della casa"
House Rules La Casa Del Doganiere takes special requests – add in the next step! Please inform La Casa Del Doganiere of your expected arrival time in advance. You can use the Special Requests box when booking, or contact the property directly using the contact details in your confirmation. The location was absolutely perfect, we had 3 private verandahs to use each with amazing unspoiled views. The room was ideal for 3 people, good aircon, cooking facilities, good size refrigerator. 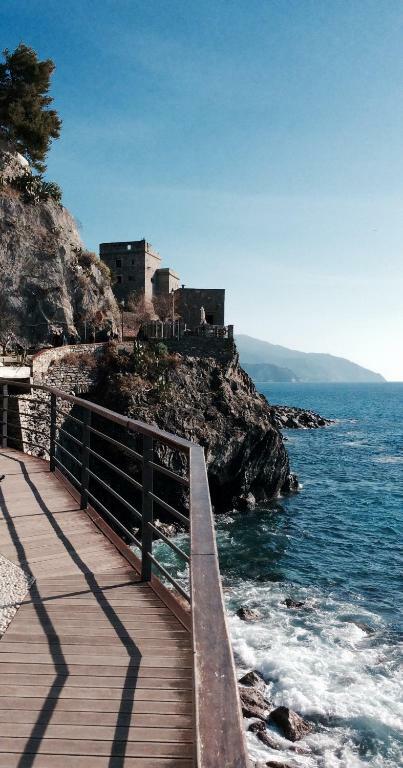 Close to train station & the old part of Monterosso. Would definitely return here when next in Cinque Terre. Unbeatable view. Central to both beaches. nothing not to like. rated 11 out of 10! The noise from city workers late at night but the hilton in Venice was way worse. This place was so amazing I'd stay here despite that in a second. Loved loved loved this place. Was like a fairy tell. The restaurant was one of the best experiences I've ever had. I don't think I've ever been more satisfied with acomidations. Everything! The house was more than we expected.